The Ruby Karen Project is a circus arts school that combines aerial apparatus and movement in its educational program known as: Aerial Dance Fitness©. The classes are offered in its Costa Mesa headquarters, but also conducts aerial and dance classes at Newhope Gymnastics in Fountain Valley, Brockus Project Studios in Downtown LA and its most recent location, the Los Angeles Academy of Performing Arts in Hollywood. 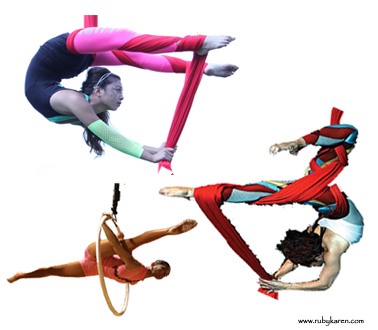 The Orange County Aerial Arts is the performing arm of the Ruby Karen Project.